Who doesn't love an infographic? They're pretty. They're educational. They're shareable. And they've played a powerful role in the visual content revolution we marketers have seen take hold recently. So what's the limiting factor stopping many marketers from jumping on board the infographic bandwagon? Design. More specifically, how on earth do you create a flipping infographic? Wait, really? Yes, really. Whether you love it or hate it, PowerPoint is an extremely valuable yet underused design tool. Just follow along with the steps in this post to create your infographic! You'll be shocked at how simple it is. 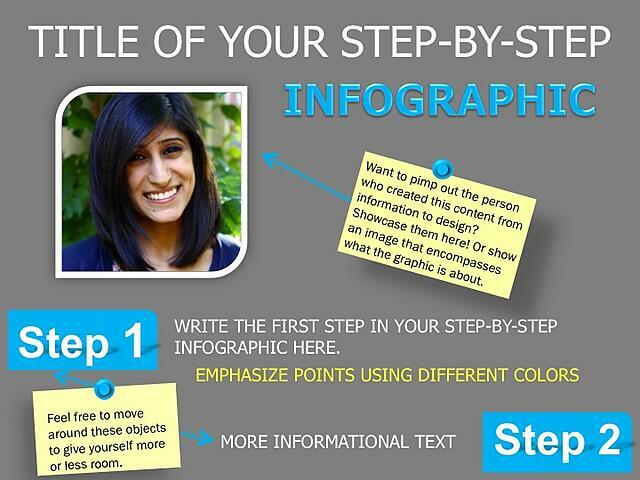 This is the step-by-step process you'll follow to create your infographic in PowerPoint. In this post, we're using a step-by-step infographic we created to help illustrate the process. In my step-by-step infographic, I took the time to include a headshot to show that I built it, and I paired it with a mini description of who I am. 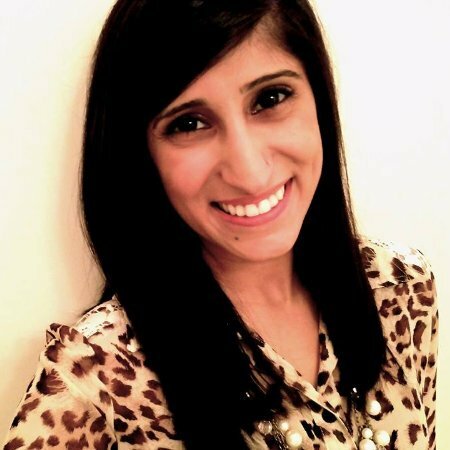 You can include your own headshot here, a company logo, or any other image you choose that represents your brand or the subject of the infographic. By right clicking on your slide, you can go to 'Format Background,' and then change the 'Fill.' 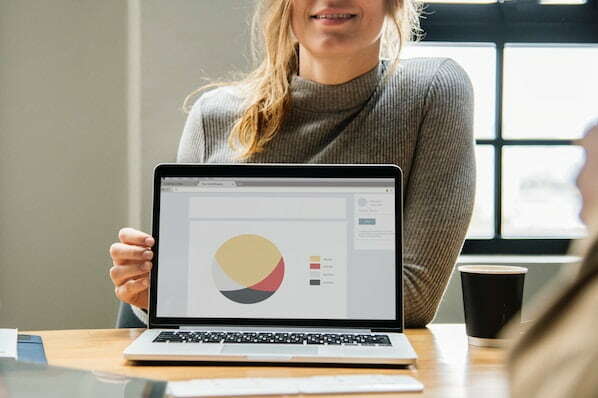 This step will change the background color of your infographic to one that aligns more appropriately with your brand; just be sure to apply it to all of the infographic slides. Once your background is the correct color, go through the title, text, and various shapes in the graphic to ensure they all match your brand's colors, too. Simply double click on the text box or shape to change the colors. Now you have a proper foundation of colors to build your own branded infographic. Shapes: As simple as inserting a shape may seem, you can actually use them to create a pretty powerful design. There are a few key things you should know. First, every shape comes with various options to help customize the design. You can use the green circle present on every shape to rotate your shape, for example. You'll also find that talk bubbles come with a yellow diamond, which lets you alter from where the bubble is coming. Simply click on the shapes you insert, and play with the different options available to build your perfect shape. You can then insert images or text into these shapes. Images: Use non-attribution images you find online (via sites like Creative Commons or iStockphoto, for example), or your own brand images to enhance the infographic. You can alter the color of these images under the 'Effects' option. There's also a 'Transparent Color' tool that will allow you to make the background of your image transparent, and therefore naturally integrated into your infographic. If the transparent tool isn't helping, you can always add an image outline to make it fit in. SmartArt: SmartArt may look a bit insane when you first insert them, but these pre-made designs can really help you tell a story through visuals. You can double click on the various shapes and change their colors to align more with the overall color scheme of your infographic. Charts: Even if your entire infographic isn't about data, that doesn't mean you can't include a few charts or graphs to really make an idea stick out. To edit your chart, double click on any line, bar, column, or pie piece in the template to change its colors. You can also click on the axis lines to delete them from the chart, if you prefer. By clicking around the 'Format Chart Area' section of your chart, you'll be able to further customize the appearance of your chart. Proper attribution of sources is critical for your reputation -- plus it's just good internet etiquette! It's okay to use public stats and information, just be sure to give credit where credit is due -- all you need to do is insert a snippet of text in a text box right under the information that needs to be cited. Even if your infographic isn't clickable, you can still add a mini call-to-action at the bottom to give those who would like more information a destination to go to. And when you embed it on your blog, you can even make your image clickable to that destination page. You just put time and effort into creating an awesome piece of visual content. Be sure to let the world know who's responsible for creating it, too! Insert your logo in the bottom right or left corner of your infographic so when it's embedded across other websites, your attribution remains in tact. 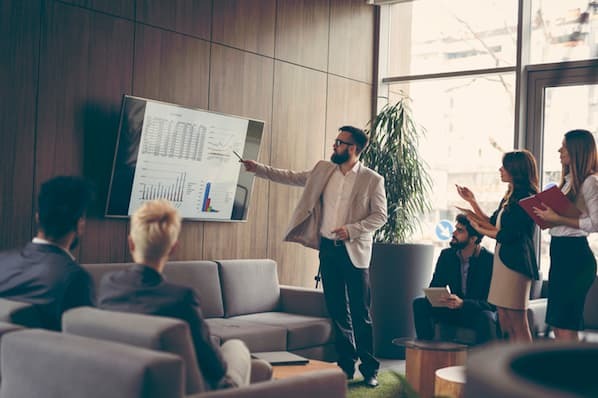 Now that you've prepared your various slides of visual and informational wonder, it's time to piece them all together. You know, so you end up with an actual infographic. Once your infographic is ready, you’ll need to save the PowerPoint slides as images. Simply click 'Save As' and select PNG as the file type. This is critical, as PNG is the ONLY file type that will give your infographic the high quality that's needed for publishing. PowerPoint to build the infographic. Now all you have to do is open the rest of your slides that you saved as PNGs by going to 'File' and 'Open.' Use Ctrl+A to select the entire slide, hit 'Edit' and 'Copy,' then go to your image with the increased height and paste. You can move the image around to ensure all the pieces have lined up correctly. 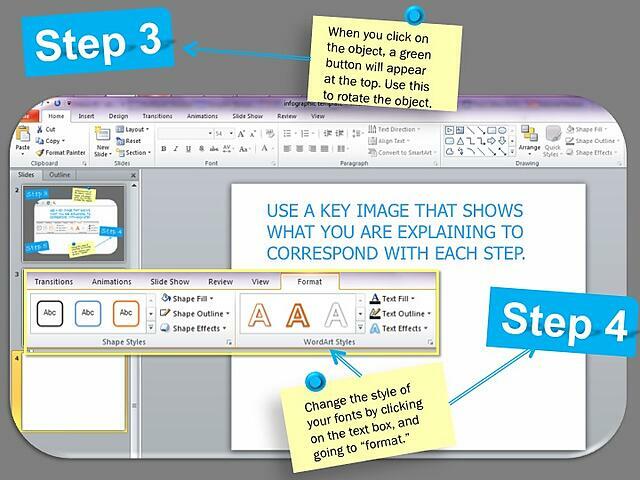 Continue to copy and paste your slides until your entire infographic is pieced together. 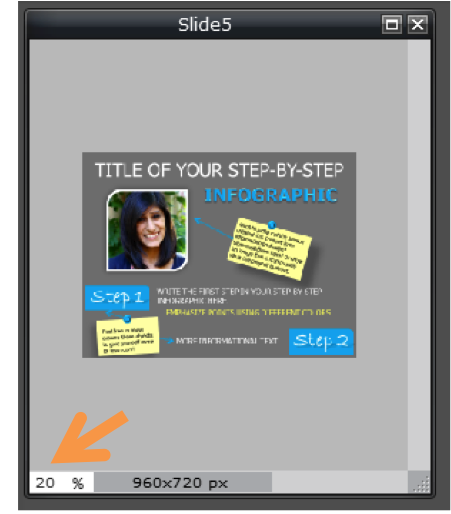 Once you’re done, you can use the crop tool in the toolbar to crop the infographic and eliminate any extra white space added from adjusting the canvas height in Step 2. When you’re done, you once again need to ensure you save the file in PNG format for optimal visual quality. Voila! You have an infographic. Not too difficult, eh? Now get that thing out on the internet, and watch the traffic and leads roll in! Are you using infographics in your content strategy? If yes, how are you making them? If not, will you try to make one now? 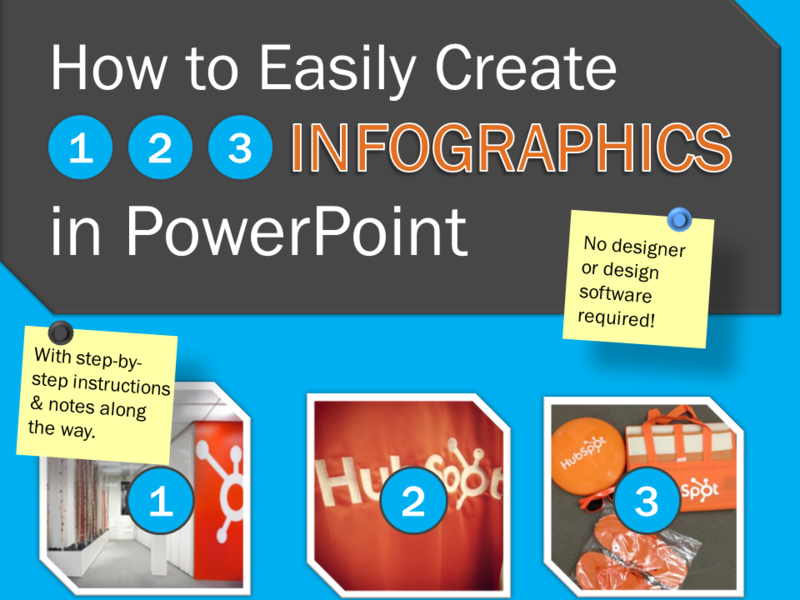 Here are 5 free templates to get you started designing infographics in PowerPoint!